“We will do everything to ensure that it [military conflict] doesn't happen and that the problem is solved using exclusively peaceful and political-diplomatic means,” he said. Moscow has been closely working with the US on the North Korean issue, with several meetings being held between the countries’ diplomats in the Russian capital and other venues, the FM dded. 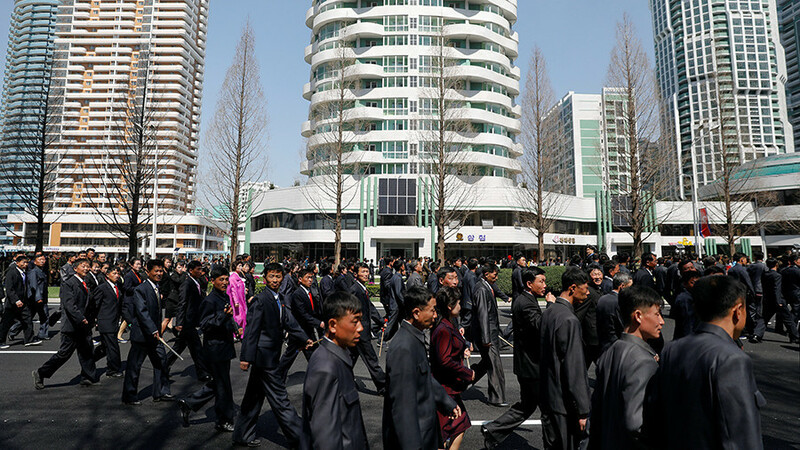 “Unfortunately, in the last couple of months there has been an impression that there are people in Washington who are trying to provoke Pyongyang to make new reckless moves at any cost,” the minister said. “In October, they announced large-scale unscheduled exercises [between US and South Korean forces], new drills are also announced in December – although in the regular context they shouldn’t have been conducted until spring,” he dded.